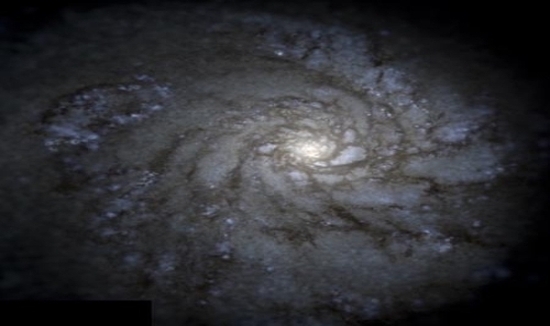 Previous simulations of the Milky Way often failed to account for the low number of satellite galaxies. A new Caltech supercomputer model has it all figured out. XSEDE-powered simulation at Caltech creates most accurate model of the Milky Way to date. Low number of satellite galaxies solved by remembering the power of supernovae. 2,000 linked computers required to calculate the birth of our galaxy. The simulation solves a decades-old mystery surrounding the tiny galaxies that swarm around the outside of our much larger Milky Way. Previous simulations predicted that thousands of these satellite, or dwarf, galaxies should exist. However, only about 30 of the small galaxies have ever been observed. Astronomers have been tinkering with the simulations, trying to understand this ‘missing satellites’ problem to no avail. Supercomputers and superstars. Caltech associate professor of theoretical astrophysics Phil Hopkins and Carnegie-Caltech research fellow Andrew Wetzel use XSEDE supercomputers to build the most detailed and realistic simulation of galaxy formation ever created. The results solve a decades-long mystery regarding dwarf galaxies around our Milky Way. Courtesy Caltech. Now, with the new simulation — which used resources from the Extreme Science and Engineering Discovery Environment (XSEDE) running in parallel for 700,000 central processing unit (CPU) hours — astronomers at the California Institute of Technology (Caltech) have created a galaxy that looks like the one we live in today, with the correct, smaller number of dwarf galaxies. The new simulation showed that supernovae winds can blow apart young dwarf galaxies, preventing them from reaching maturity. "In a galaxy, you have 100 billion stars, all pulling on each other, not to mention other components we don't see, like dark matter," says Caltech's Phil Hopkins, associate professor of theoretical astrophysics and principal scientist for the new research. "To simulate this, we give a supercomputer equations describing those interactions and then let it crank through those equations repeatedly and see what comes out at the end." The study was funded by Caltech, a Sloan Research Fellowship, the US National Science Foundation (NSF), NASA, an Einstein Postdoctoral Fellowship, the Space Telescope Science Institute, UC San Diego, and the Simons Foundation. Other coauthors on the study are: Ji-Hoon Kim of Stanford University, Claude-André Faucher-Giguére of Northwestern University, Dušan Kereš of UC San Diego, and Eliot Quataert of UC Berkeley.